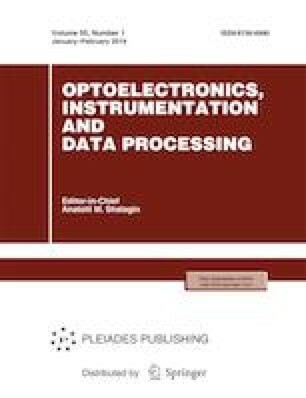 A procedure of layer-by-layer investigations of characteristics of thick amplitude-phase gratings by the method of laser heterodyne tomography is presented. The parameters of a thick grating nonlinearly recorded on an additively colored crystal of calcium fluoride (CaF2 : Na) are estimated. The main theoretical postulates of laser heterodyne tomography are experimentally validated. Russian Text © P.E. Tverdokhleb, Yu.A. Shchepetkin, I.Sh. Steinberg, 2019, published in Avtometriya, 2019, Vol. 55, No. 1, pp. 26–34.